101 years ago, shortly after Hotel Del Coronado was built and thousands of people flocked to the booming City of San Diego through railroads, two major competing boat companies merged into one and combined a fleet of 16 ships. Passengers paid the formerly-known-as Star & Crescent Boat Company 50 cents to $1 for excursions to places such as the Coronado Islands and Tijuana and Baja, Mexico. The fleets expanded its audience, carving out a name for luxury as they escorted passengers on cruises to ballroom dancing on the pier, and offered nighttime harbor tours with dining and dancing on board. Over a century later, the fleet of San Diego’s only locally-owned and operated cruise and event company, now called Flagship Cruises & Events, still serves as San Diego’s premiere seaside entertainment. If you’re a traveler like me, then you’ve probably visited San Diego more than once. It’s one of those places that makes you leave with a newfound homesickness for the ocean. At night you sleep with the windows open, touched by a steady, cool breeze. During the day the ocean air ripples through the city, supplying a comforting temperature in the low 70s. It’s the combination of this ideal temperature, the ocean, the city’s lavish architecture, culture and innovation that so many people visit San Diego – and many never leave. My dad’s family is from San Diego, so I experienced countless family vacations here, yet besides a short Coronado ferry ride, we never left the beach. Then my sister and her family moved near Coronado a few years ago and it wasn’t until I booked a visit that I decided to pursue a hedonistic voyage like a real adult tourist would. Upon notice that I booked my trip, a handful of other family members invited themselves along. The decision on what excursion to choose was easy. I wanted to see San Diego’s skyline in a relaxed and luxurious way. After a few minutes of searching, I knew Flagship Cruises & Events was the one. Flagship Cruises & Events provides gourmet dinner cruises, brunch cruises, cocktail cruises, whale watching excursions, harbor tours and even ferry and water taxi services (as well as event services such as business meetings, weddings, and parties). I selected a Saturday Night Dinner Cruise for my sister and her husband and my mom. My mom assigned my startled dad to play Daddy-Daycare at the house with three small scrambling children. “You can handle it!” My mom shouted at my dad with a cocked smirk as she brushed past him in a cavalier manner out the door in her fancy outfit. I imagined coming home to him passed out in the hallway with marker designs all over his face, food smeared on the walls and hyena-like-shrieking children springing on the sofa, as their crusty paws rubbed against my sister’s delicate white furniture. But as soon as I set foot onboard Flagship Cruises & Event’s Spirit of San Diego and paraded by three full-service cocktail bars, I couldn’t have cared less what was happening at the house. I made my way up to the main deck on the second level, where I was greeted with a glass of complimentary champagne and offered some fine wine. I took a seat at our dining area that projected a beautiful 360-degree window view of the ocean to sip my champagne and snap a few photos of my presidential-looking companions. I took a survey of the room and estimated that over 85 percent of the people there were couples. A few larger parties were planted among the room, but I figured that most people who book a dinner cruises want fine dining and romance. By 7:30 as Spirit of San Diego began its journey across the crystalline waters out of San Diego’s harbor, the sun had already set and I ventured outdoors among the cradled couples to capture the city’s skyline. Flagship Cruises & Events’ nightly dinner cruise glides 25 miles around San Diego’s waterfront passing the iconic U.S.S. Midway Aircraft carrier, Star of India and the famous ships of the Maritime Museum North Island Naval Air Station as well as my favorite, the Coronado Bay Bridge. From the time you board until the time you leave, the nightly dinner cruise is a perfect three hours. You might be surprised at how fast the time passes. Shortly after my night-light city gazing, I seated myself back at our dining table for our pre-entrée round of food: a Caesar-wedge salad and fresh bread. As we clinked our glasses together in a toast, somewhere across the city, my dad was crouched in a craven position with loud children padding around him, riding on his back like a wild boar. I smiled at the cute picture in my head as I raised my glass for another sip of champagne. Dad_Getting_Wrassled from Jennae Geren on Vimeo. By the time our steaming entrees arrived, the ship was alive with laughter. Couples were a lot more relaxed now, more drinks were being poured and energy was uplifted. When you book your ticket, you select your gourmet entrees so you know what type of food to expect before it arrives. My mom and I were served the seafood entrée, a pan-seared sustainable salmon filet, sprinkled with a delicious sauce and paired with white cheddar mashed potatoes and fresh seasonal vegetables. My sister chose the vegetarian option, Manicotti Florentine, a pasta filled with spinach and three cheese blend topped with vodka tomato cream sauce and my brother-in-law chose the New York Steak. You probably won’t be able to eat all of your entrée or all of your food served to you, as the three courses along with drinks will leave you beyond content. My party repeatedly commented on how delicious the food was. I knew the voyage would be spectacular but the gourmet dining lived up to its 5-star standards. I kept waiting for a pause where my mom would cut in and raise a finger in critique of the food, but it never happened. Usually, when we eat out, she often takes her first bites as I wait in anticipation for her spiel. Even at the most pristine restaurants, she will thoughtfully chew, then, her eyes turning to slits, she authoritatively declares a missing ingredient or a poor texture. At restaurants or in the kitchen she delivers her unsolicited advice. As an avid food preparer, we never have time to get hungry. Everywhere we go we just expect a huge load of carefully-crafted entrees and snacks to accompany us. “She’s like a food genius,” my younger brother said one day during his lunch break snowboarding as he bit into a caramelized nut and chocolate appetizer and then slid out a flavorful Thanksgiving spread while others around him hunched over spooning up their cup of noodles and reaching into their crumbled sacked lunch bags for a white-breaded sandwich. On vacation, we grab our swim suits and towels for the beach and she grabs the ice chest. It’s just assumed that this in-charge food critique will cover those bases. But this time, she had nothing to say. Knowing her, that says a lot. We were all served the same trio dessert platter with Crème Brule cheese cake, sweet and tangy lemon tartlet and caramel pecan decadence brownie. It’s hard to nail down a favorite but we all decided the Crème Brule cheese cake was the most popular. Between the gourmet food and breathtaking view, Flagship Cruises & Events had already left an inimitable impression on me but it got better. As if our party innately knew the perfect timing, we headed to the top of the ship to admire the view just as fireworks exploded in front of us. If you could paint a perfect romantic evening, it would be this. It’s as if the fireworks were there just for our eyes and the whole city was conspiring in making the evening as beautiful as possible. The fireworks probably lasted less than 10 minutes but it felt like a grand finale at every burst. Meanwhile, the attendants downstairs were collecting desert plates as a small line began to form near the stairs leading to the dance floor. I joined the excitement downstairs and slunk against the walls with a few other inhibited onlookers. What started off as just a handful of couples dancing emerged into a rumbling dance floor party where people were clapping and snapping in uniform, then quickly formed a circle for solo exhibitionists to jazz up the dance floor. By the time the dancing was at its climax, the ship was stationed. I think if the ship would have sailed even an hour longer, we would look about 50 percent sloppier than when we arrived. We were having that much fun. As we exited the Spirit of San Diego and scattered into the warm San Diego night air with the other hundred or so other excited voyagers, the cheery staff handed each of us a box of gourmet chocolates, solidifying our perfect evening. All memory that we had children or any other duties that night was erased but our memory sparked as we pulled into the driveway, anxious as to what awaited us. Impressively, we entered a dark, quiet house where each child was passed out in his or her destined room. My dad rested limply beside my sleeping son, the life force drained from his body, as we entered the room, glowing. Why did you choose to write about Flagship Cruises & Events? I wanted to go beyond San Diego’s traditional tours and experience luxury that both locals and tourists partake in. Flagship Cruises & Event’s Spirit of San Diego’s nighttime dinner cruise gave me a new perspective on fine dining and entertainment in the City. How long is the dinner cruise onboard the Spirit of San Diego? The dinner cruise is three hours long. Boarding time is 7 p.m. and you can board up to 30 minutes before departure. Cruising time is 7:30 p.m. and arrival time is 10 p.m.
What kind of people is this dinner cruise for? Both locals and tourists, consisting of couples and larger parties – whoever you find most enjoyable to accompany you on a beautiful night out. You can even bring children but I didn’t see any children onboard when I was there. I saw mostly couples on what appeared to be a date night. What should we wear for the dinner cruise? Almost everyone wore formal attire with some kind of layer for being outside on deck. I would wear something you can move in easily too for dancing. For a more in-depth list of FAQs, please visit Flagship Cruises & Event’s Web site here. Book Your Own Flagship & Events Cruise Now! Choose a Nightly Dinner Cruise, Holiday Cruise & More! I am a writer, photographer and entrepreneur who lives in Fort Collins, Colorado. As an avid traveler, California, specifically San Diego, has always been a favorite repeated destination. I love exploring most cities, especially those by the ocean. 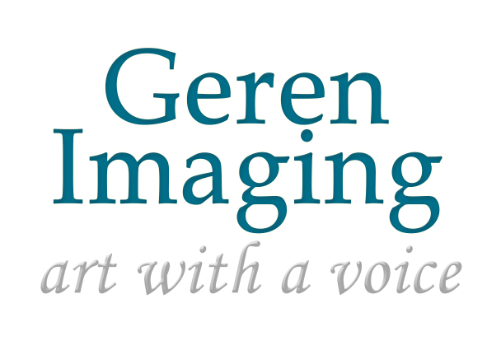 If you have a luxurious travel destination, service or company that needs an in-depth photography review, feel free to contact me here or at jennae@gerenimaging.com for a media kit and more details. Things to Do in San Diego, Top Things to do in San Diego, San Diego Boats, San Diego nightlife, San Diego date night, San Diego dinner cruise, San Diego restaurants, San Diego night out, San Diego romance, San Diego cruises, San Diego entertainment, San Diego tourist attractions, tourist attractions San Diego, Things to do for tourists in San Diego, San Diego must see. Danine M. - I loved the Flagship dinner cruise! I was expecting a nice dinner, but did not expect all the extra touches such as champagne, chocolates and our own fireworks show. It was definitely a night to remember! Karen - Great write up on the Flagship Dinner Cruise I reall enjoyed it The Sunset The Boat The City Lights at night. The Dancing The Dinner and of course the Dessert and Fireworks! A real enjoyable evening! Last winter my son and I took the early morning Flagship Harbor Cruise and really liked it a lot ! Great Job Flagship!